It’s tempting to focus on the brash first sentence of his comments, but the third and fourth are actually more interesting. For a good stretch of time, the 69-year-old actor was something of a juggernaut, moving from American Graffiti to starring in two of the 1970s’ biggest hits, Jaws and Close Encounters of the Third Kind, before winning a Best Actor Oscar for The Goodbye Girl. But there’s something about the films he made and the public persona he cultivated that’s kept him from being properly appreciated. He didn’t fall away after the 1970s, per se, but because he made his name playing guys who were exceedingly ordinary, it was too easy to conflate the actor with them. But with Close Encounters returning to the big screen on Friday, why not salute the man who wasn’t there? 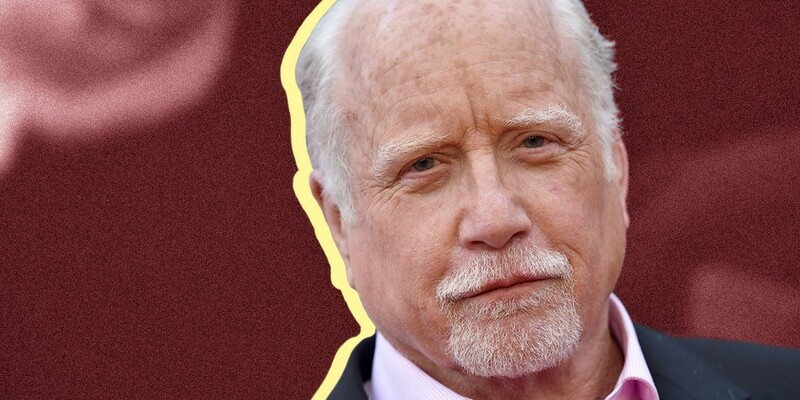 Whether it was the inevitable descent that naturally occurs after so many years of dizzying heights or calculated self-sabotage, Dreyfuss quickly went into decline. Drugs didn’t help. A cocaine addict, he once claimed to be “a board member and probably chairman of admissions for the Assholes Center.” It wasn’t until a 1982 automobile accident, in which he flipped his car over and the cops arrested him for possession, that he sought treatment and got sober. Dreyfuss had other struggles, too. In the mid-1990s, he began seeing a therapist for bipolar disorder, a condition he’d been battling since he was a self-loathing teenager. There were still hit movies during this period — e.g., Down and Out in Beverly Hills, What About Bob? and Mr. Holland’s Opus — but there was something a little coarser — a little less animated and alive — in these later performances that, funny as they often were, felt deflated. That’s not the world we live in, of course — just as it isn’t the one where Dreyfuss has the finest body of work of any American actor. Luckily, though, we’ll always have Dreyfuss’s movies — and that eternal look of his Close Encounters character, Roy, saying a silent goodbye to his fellow Earthlings before he heads off into the sky. It’s a perfect distillation of the kind spirit Dreyfuss once brought to the movies — one that nothing can erase.